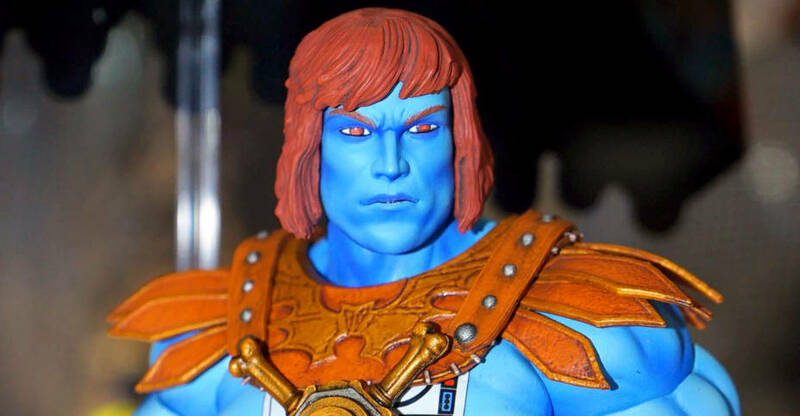 A new pre-order listing at GameStop has popped up for a Masters of the Universe: Castle Grayskull Mega Construx Set. 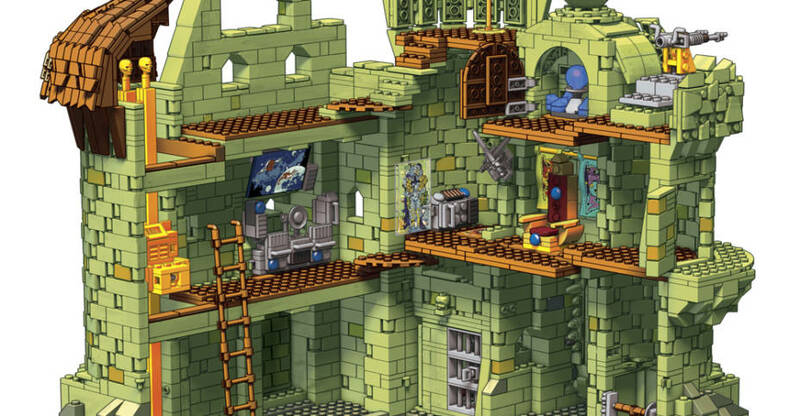 The set will include over 3,600 pieces to build the iconic Castle Grayskull, scaled down to work with the Mega Construx micro figures. 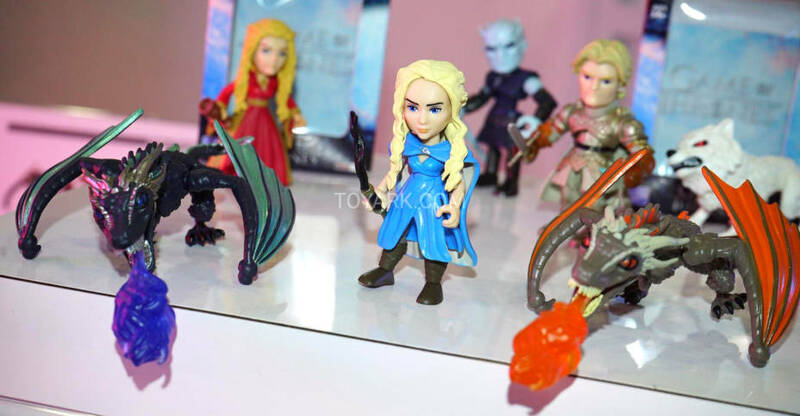 The set will also include six of the mini figures to display witht he play set. The set is priced at $249.99, with a release listed for January 2020. Check out details below, and see the initial images after the jump. Kittrina – Claw baton, Claw Paw whip, and Claw Flame sword. Modulok – Alternate hands and heads, Electrode, and Sledge Hammer. 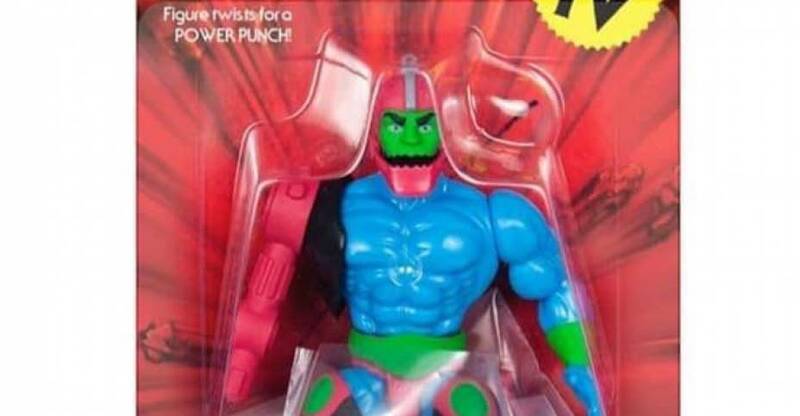 Prince Adam – Sword of Power, Sword of Power in transformation mode, and Photanium Shield. Also a swappable right hand for the Sword of Power pose, and the Sword of Power is now removable from the glowing energy effect to provide a more show-accurate sword. Roboto – Interchangeable arm attachments, Claw, axe, and blaster. Shadow Weaver – Wizard’s Wand, Wand of Crystal, and magical blast. Stratos – Alternate jetpack, Staff of Avion, and Sword of Ennael. You can pre-order the figure by Clicking Here. The set is priced at $210, and you can order additional individual figures after pre-ordering the full set. Look for them to be released this Summer. 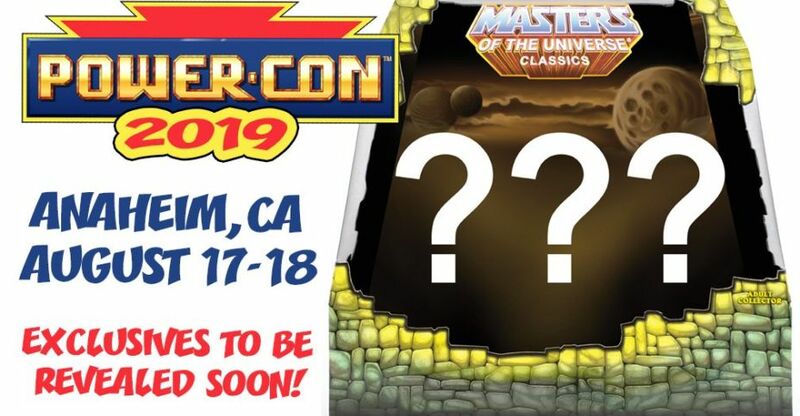 Some details have been released for Power-Con 2019! The show takes place August 17 and 18 in Anaheim, California. This years show will focus on the New Adventures of He-Man cartoon, which is celebrating it’s 30th anniversary this year. There will also be some focus on the current Netflix She-Ra and the Princesses of Power cartoon, with a larger focus on the new and classic She-Ra cartoon taking place in 2020. At the event, there will be three exclusives available. 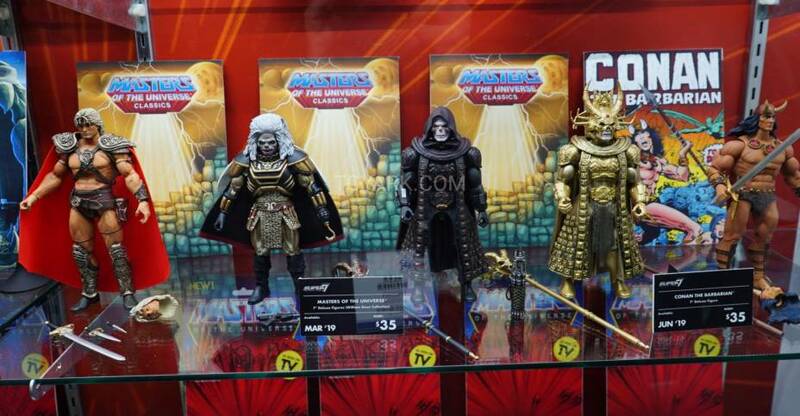 The first is a 3-Pack of Masters of the Universe Classics Figures, the second is a single carded Masters of the Universe Classic Figure, and the third is a surprise figure not related to the Classics or Club Grayskull lines. There’s a lot of info to digest, and we have the press release after the jump. 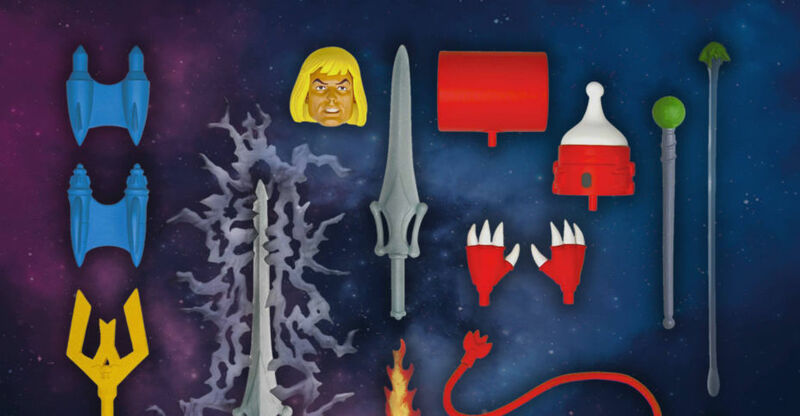 Prince Adam – Sword of Power, Sword of Power in transformation mode, and Photanium Shield. 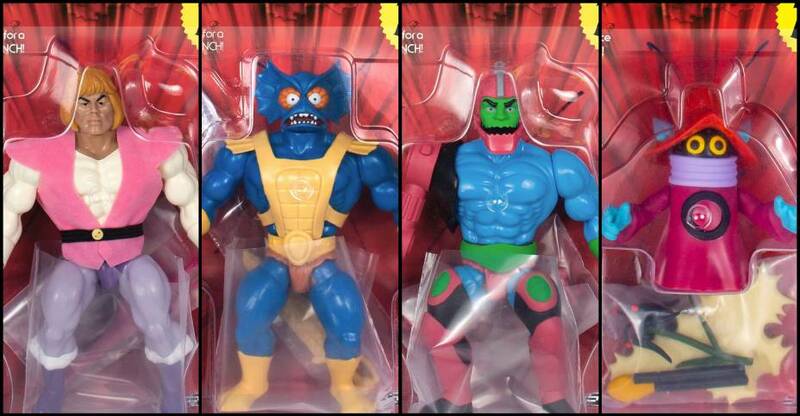 You can pre-order the figures Here. They are priced at $210 plus shipping for the set. 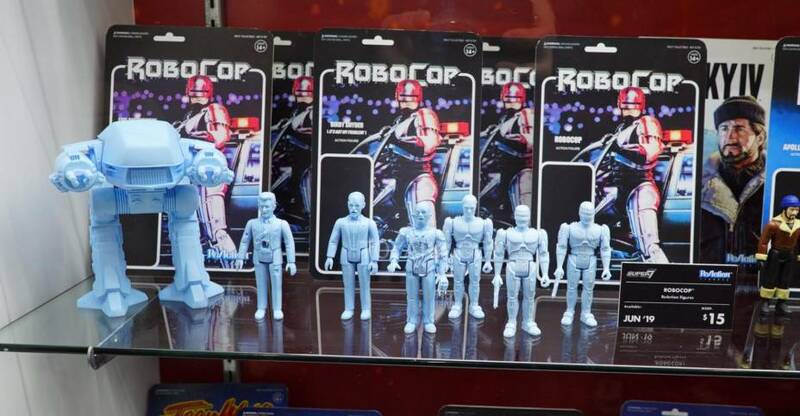 Once you pre-order the full set, then you can also add additional individual figures to your order. Pre-order will end on January 31st, and they are due for release this Summer. See the new accessories by clicking the headline of the story.